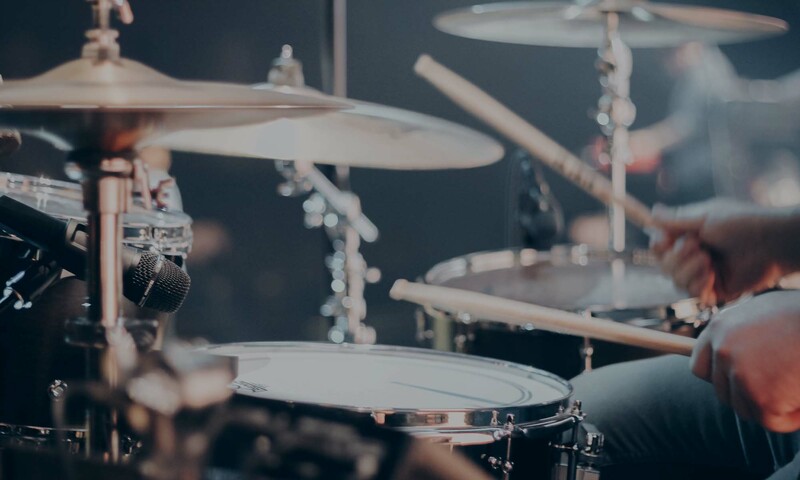 How To Play Drums – Only For Beginners! Is your loved one a drummer? Need some drum gift inspiration? Do they love drumming but you’re just not sure what to get them? Do they already own every drum accessory on the planet? 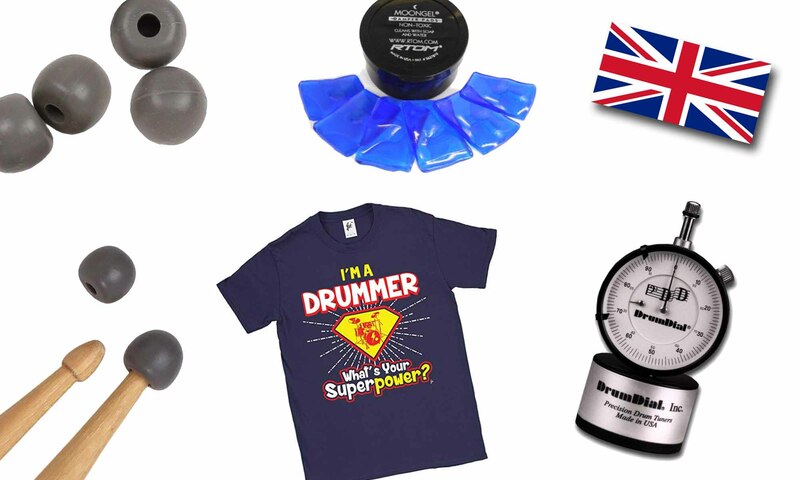 Here are a few fantastic drumming gifts you might not have thought of. If you’re looking for drum gift ideas and you’re in the US visit this page instead. #1 – PRACTICE ANYWHERE WITH PRACTICE TIPS! Vic Firth practice tips are an essential for any drummer AND if they already have some it doesn’t matter ’cause you can never have too many pairs of these! Simply slip them over any bog standard pair of drum stick tips and you can practice on any solid surface without the need for a practice pad. Fantastic for taking on holiday! Widely regarded as the best drum tuning system available, you can tune drums accurately and evenly with this device – plus you can tune them silently without having to tap your drums! Great for a quick re-tune between songs without looking unprofessional. Repeatedly tune to a particular pitch – awesome tool for any drummer. Moongel pads are another one of those things a drummer can never have too many of! They get lost, they get dirty and they get stuck on to band members! These are self adhesive gel pads to eliminate unwanted ringing and resonance from drums. Washable and re-useable – great whether they play live or in the studio. #4 – DRUM SUPERPOWER T-SHIRT! It’s a bit like a Superman T-Shirt… but for drummers and it says, “I’m A Drummer, What’s Your Superpower?” Awesome! Every drummer loves to tap on the desk while they’re working and EVERYONE loves to hear them! Make their lives easier by getting them some pencils shaped like drum sticks. You know how drummers are really good at pretending to listen to you but in their heads they’re working out the fill to their favourite song? This. #7 – MINI FOO FIGHTERS DRUM KIT! Oh my gosh it’s a tiny Foo Fighters drum kit! This is literally one of the most awesome things I’ve ever seen. It’s a miniature Taylor Hawkins Foo Fighters Drum Kit! It’s only 20cm high – amazing! There’s a range of other kits from other bands too! You know the whole ‘Keep Calm and Carry On’ stuff? It’s like that, but with drums. Love it! Now your loved one can even tap away while cooking dinner! You never have to go a single moment without hearing paradiddles and double strokes! Everyone needs a set of drum stick spoons. Finally, here’s an awesome LED night light with a 3D illusion drum kit built in to it! Now the last thing they see before going to sleep won’t be your face – it will be a drum kit! There you go – let’s wrap this up, ha ha… sorry. Remember if you’re in the US visit this page instead. I can only apologise for any increased tapping, clattering or banging as a result of buying stuff from this list – they’ll love you for it though! This site uses affiliate links – these don’t cost you a penny and help to fund the site. For more information visit the link above.